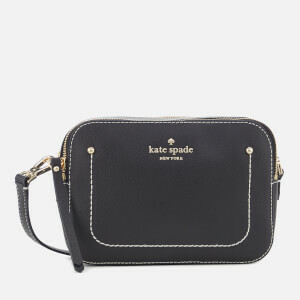 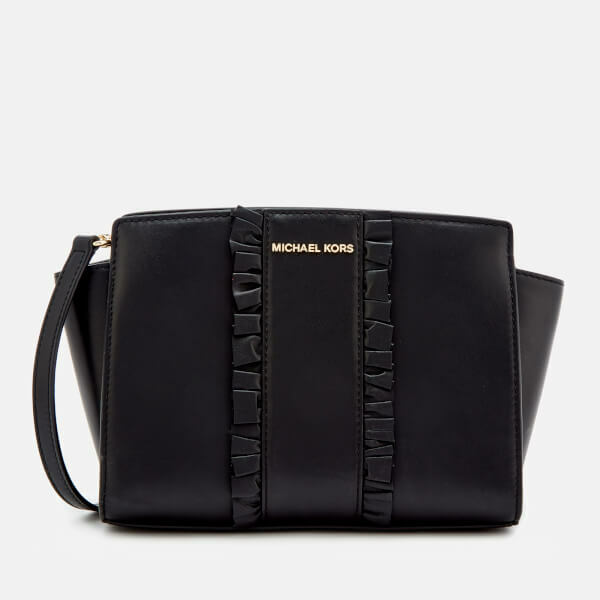 Women’s small black messenger bag from MICHAEL MICHAEL KORS with a vertical front panel and decorative ruffle detailing. 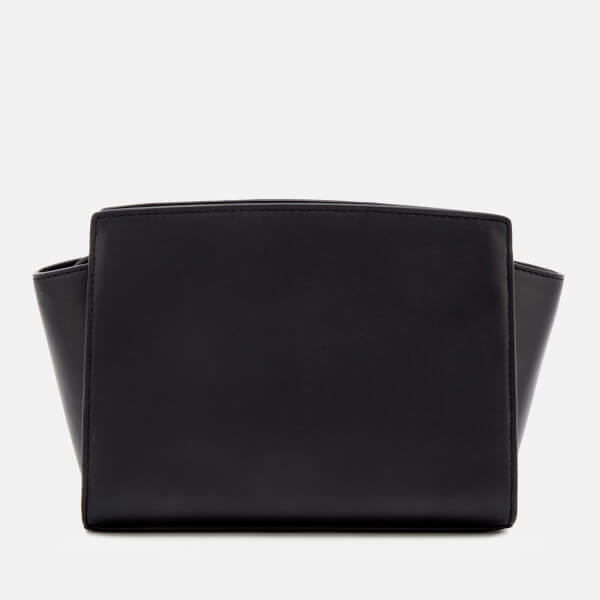 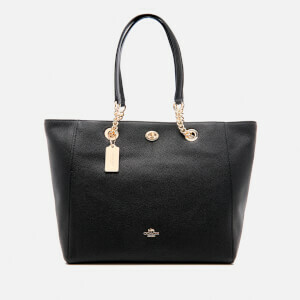 Realised in smooth leather, the bag comprises a top zip fastening that opens to reveal a zip pocket and two slip pockets within. 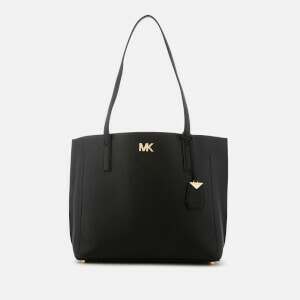 Transported via an adjustable, detachable cross body strap, the ‘Selma’ bag is detailed with gold-tone metal hardware and Michael Kors branding to the front.